Designer stores including the likes of, Dolce and Gabbana, Louis Vuitton and Hermes provide a road of luxury for the high society of Prague and seems to be a fort that guards the precious Jewish Quarter. 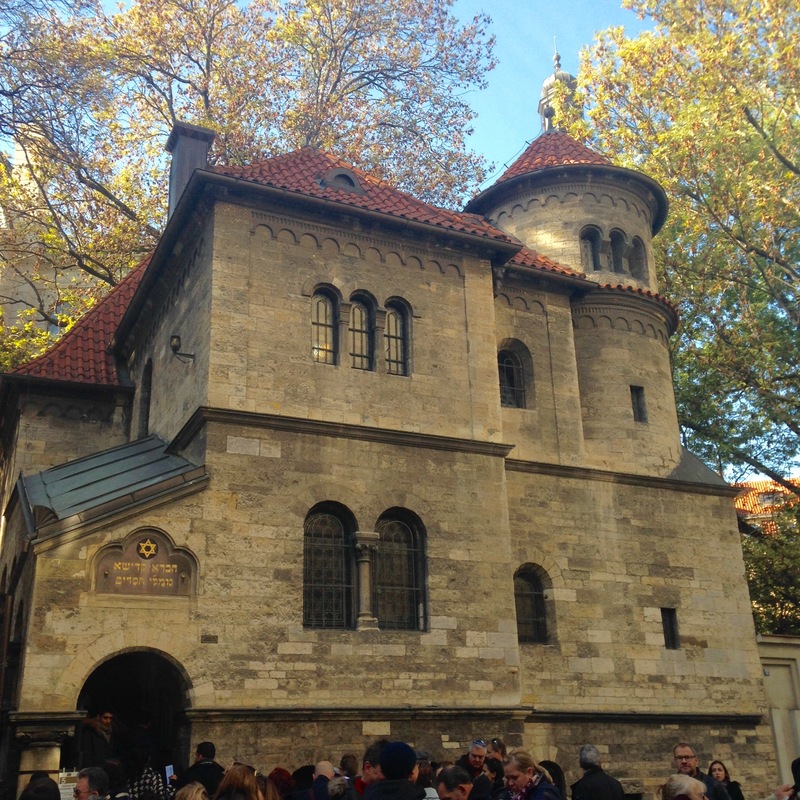 I was instantly attracted to the Jewish Quarter, perhaps because it reminded me of certain aspects of New York City, it was elegant, an untouched part of Jewish history and it seemed like we had stepped back in time. There are so many bakeries to try in this quarter and you should visit The Bond café – it serves delicious breakfast options including my favourite- sliced toast, golden scrambled eggs and spinach, such a simple yet satisfying breakfast. You could spend all day exploring the Synagogues and museums, eating and drinking or capturing pictures of the Jewish Quarter. However, we had a boat to catch, (I say that as if I do it every day.) 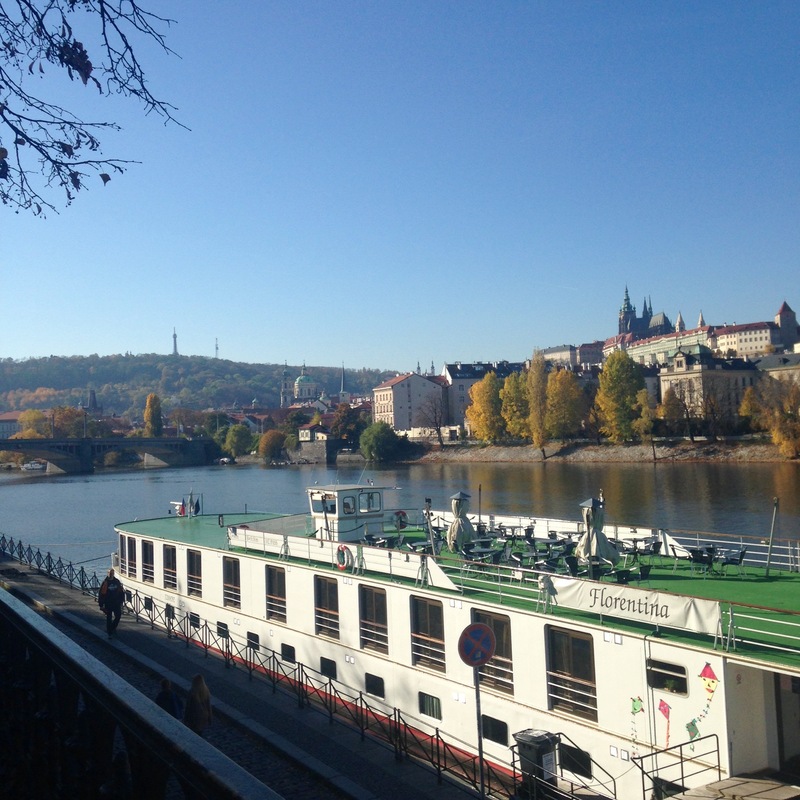 We decided to continue our chilled out Sunday by taking a boat trip along the Vltava river, inhaling the fresh air, sipping on chilled Czech beers, whilst thinking about why we had not visited Prague sooner. 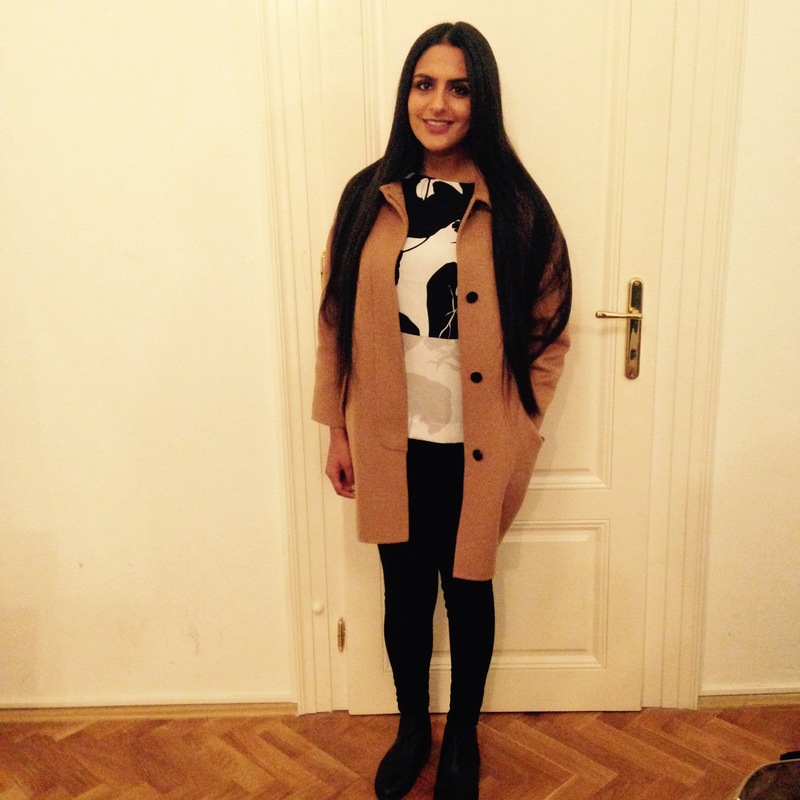 I decided on a relaxed Sunday style, by wearing my black skinny jeans, trusty khaki bomber jacket and slouchy bag. I opted for my thin grey striped jumper with fringing which to me is like a modern version of such a simple grey jumper. I like that this jumper can be thrown on so simply and I love the relaxed fit. If I wanted to add a statement necklace or wear a set of rings, it could be glamorised instantly. 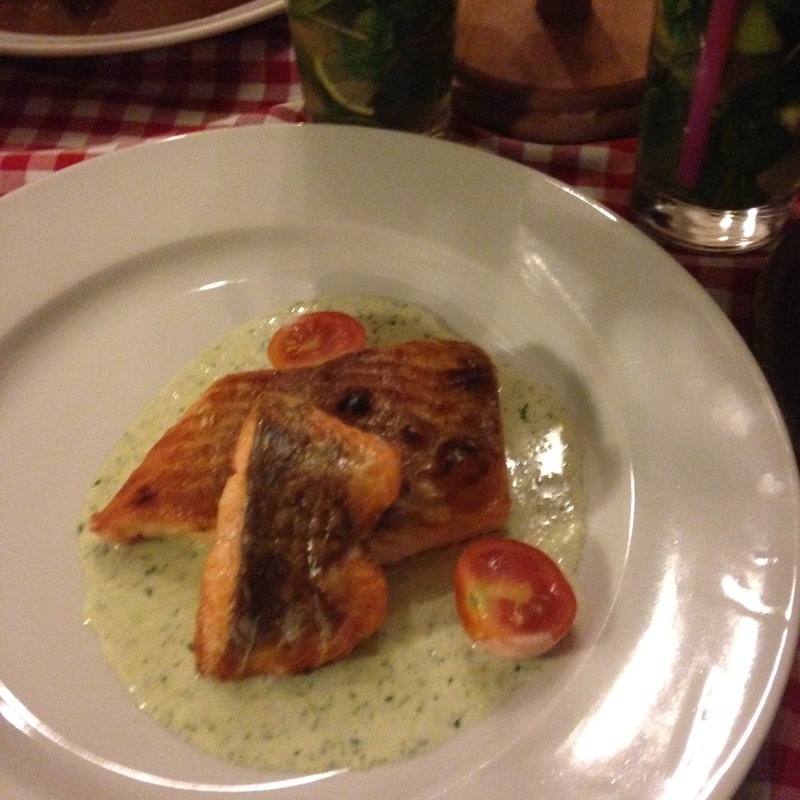 In the evening we went to an authentic Czech restaurant, where I ordered a tasty salmon with a potato and vegetable side dish, with a glass of refreshing Mojito which cost me approximately 500 CZK. If you translate this into sterling currency, it would be about £14. Believe me, it was worth it. 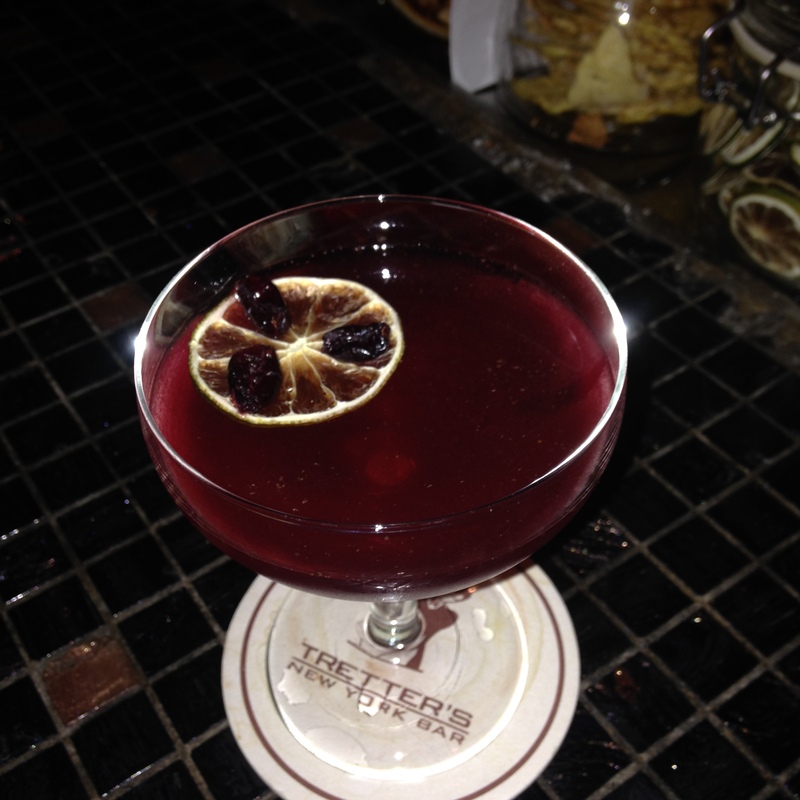 We then headed down to Tretter’s New York Bar, situated in the Jewish Quarter for a refreshing Cosmopolitan. 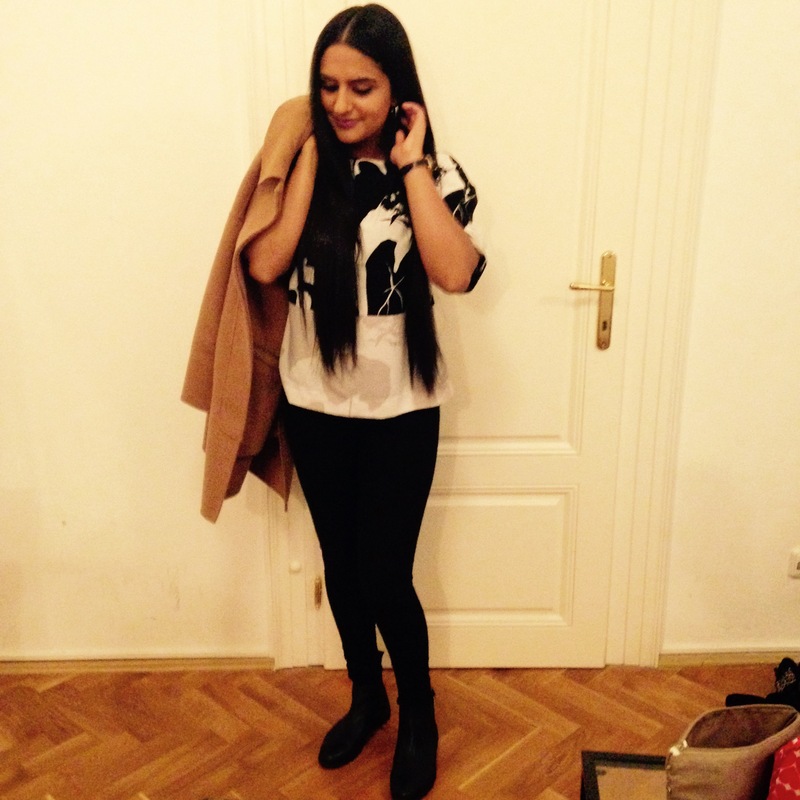 This bar is perfect for a classy evening that requires a minimal fashion effort. 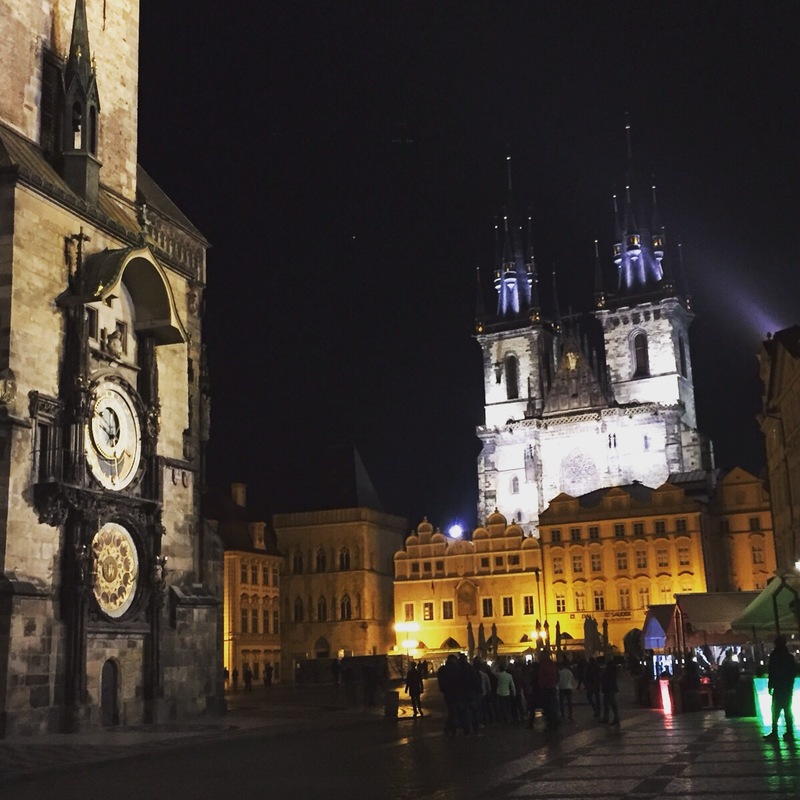 Prague is so cheap for food and drinks, which really entices travellers to visit. It’s a city filled with stunning, historical and awe-inspiring monuments. It’s a place that really let’s you escape. I felt that every corner I turned to was filled with secrets wishing to be unraveled. 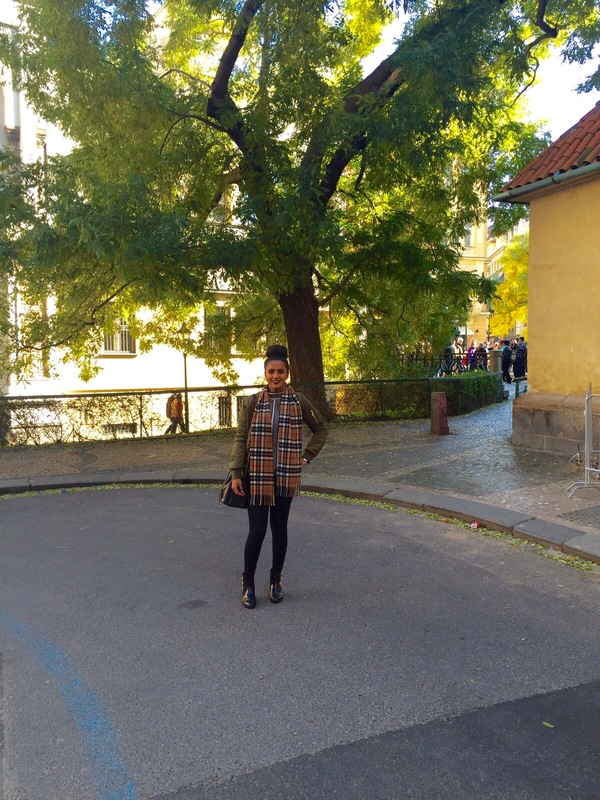 Prague is the perfect couple getaway, girly weekend or family holiday. 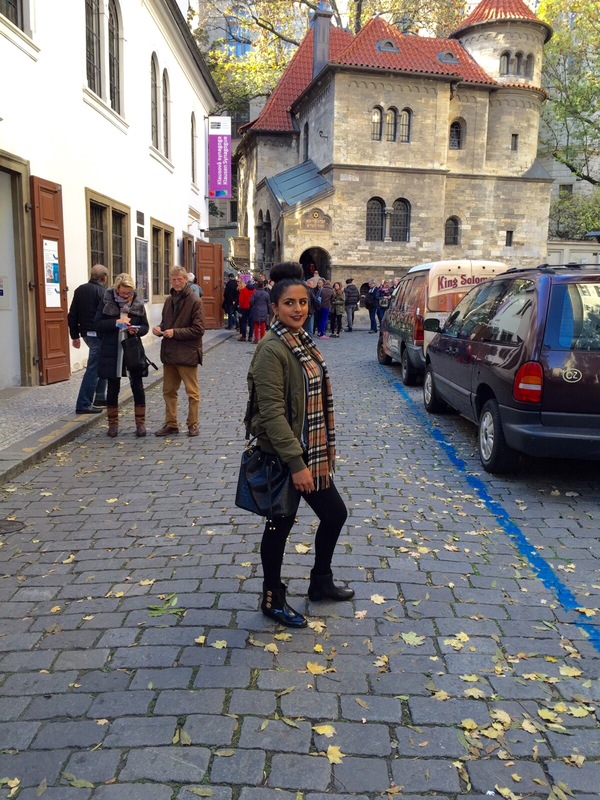 Prague has provided me with a collection of fabulous memories and I hope to re-visit it again soon to create more.